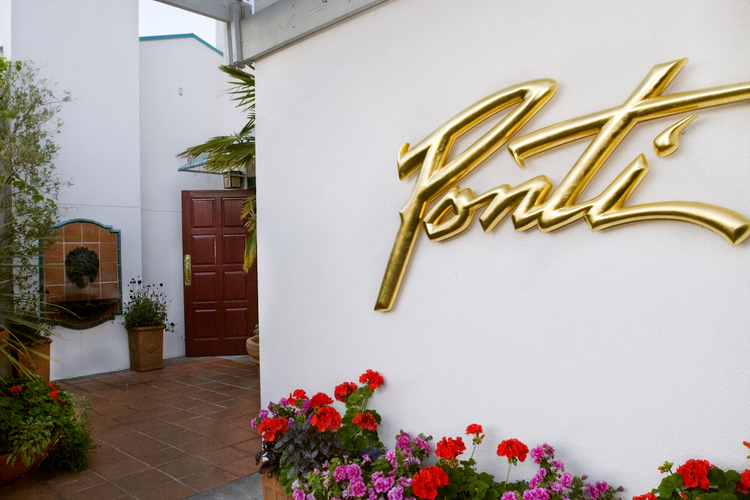 Ponti Seafood Grill is a delectable seafood restaurant located in Seattle, Washington. Our Seattle, Washington restaurant is located on Seattle’s Ship Canal with four private dining rooms and two outdoor patios that offer a prime view of the water and the Fremont and Aurora bridges. We feature a seasonally focused menu with an array of classic cuisine options, ranging from pan-Asian, to Mediterranean, to a European and Pacific Northwest fusion. Since 1990, Ponti Seafood Grill has provided exquisite cuisine and exceptional service that leaves nothing to be desired. Along with our exceptional location, we pride ourselves on our unique style. Modeled after a Mediterranean villa, our warm Tuscan-inspired colors add to the charm of our private dining rooms and waterside patios. Among our delectable dishes, our signature dishes include our renowned Thai Curry Penne, Grilled Marinated Calamari, Dungeness Crab Spring Rolls, and Grilled Wild King Salmon. We use the freshest, highest-quality local ingredients to prepare our consistently delicious dishes. We are honored to have been awarded as Seattle Magazine’s Best Seafood Restaurant, Best Northwest, and Gourmet Magazine’s Top Table. Along with our exceptional cuisine, we also offer an extensive wine list that has received the Wine Spectator award of excellence every year. We are proud to feature special events throughout the year, so make sure to check back often for our most recent special events. We also can host your next day meeting and retreat. If you are looking for a unique Seattle, Washington restaurant to host your next event, seminar, wedding, meeting, or retreat, then look no further! Our customizable comprehensive package and skilled event planner will ensure that your next event is a success.